Six Recent Additions to my TBR List | TBR Mix and Mingle, April 2019 — TBR, etc. Here are my April TBR possibilities! April is my self-proclaimed thriller month and I’ve got a LOT on my list. Thrillers are that one genre that can be either hit or miss for me- rarely is there an in between. I’m working on They All Fall Down and so far, I’m enjoying the set up. Seven strangers that are loosely tied together arrive on a remote island in a gorgeous, secluded mansion. Each have their own reasons for being there - and their own secrets. I’m linking up with Literary Quicksand, Rachel at Never Enough Novels, and Allison at My Novel Life -the co-hosts of TBR (To Be Read) Mix ‘n Mingle. The first Wednesday of each month they share the books they’re planning to read for the month. I also wanted to share a few new additions to my TBR list and where I got them from! The Spectators | Jennifer DuBois | I picked this rec up from Catherine at Gilmore Guide to Books (via Sarah’s Book Shelves Live Episode 13). This was one her Spring Preview Picks that she’s excited about. I really enjoyed (and forgot about) DuBois’s first book, Cartwheel- a take on the Amanda Knox story- so I’m excited to see about The Spectators. It’s about the influence of inflammatory talk shows on society- I love thinking about the role the media plays on people’s actions, so I’m super curious to see how this plays out. The Paragon Hotel | Lyndsay Faye | This is another recommendation that came from Carla at Happiest When Reading/ Sarah’s Book Shelves Live Episode 13. I’ve heard about it before, but her reason for loving it made it stick with me. This a gangster/mafia story about racism, intolerance, relationships, and resilience. It’s historical fiction and sounds like a story that will stick with you. 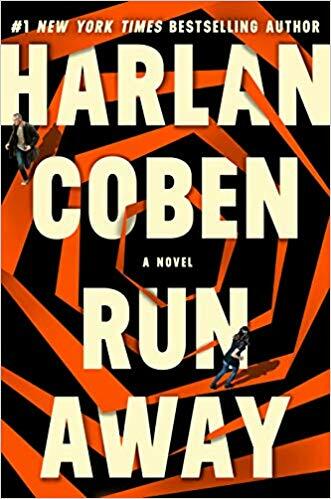 Run Away | Harlan Cobin | One of my favorite podcasters, Adam, from the Professional Book Nerds podcast, shout tweeted at me to read this. When a good recommendation source shout tweets at you, you listen. Tiny Beautiful Things: Advice on Love and Life from Dear Sugar | This is yet another recommendation from Sarah’s Bookshelves Live! I’ve heard of Tiny Beautiful Things before, but Sarah recommended this to Carla and called it her FAVORITE audiobook of all time. I have to give it a listen! An Unconditional Freedom | Alyssa Cole | I picked up this recommendation from Anne’s March Quick Lit post. I really enjoyed another historical romance Trouble the Water last year, and Anne’s description caught my attention. This is book 3 in the series, but it sounded like you didn’t need to read the first two to enjoy. It’s about two people whose lives were ruined by slavery but learn to rebuild and find hope within each other. Into the Jungle | Erica Ferencik | The insanely beautiful cover is what initially caught my attention, but the synopsis made me add it to my list. A young woman tries to turn her life around by accepting a teaching job in Cochabamba, Bolivia. The job falls through and she finds herself rudderless and alone- until she falls in love with someone who drags her even further into the ruthless world she knows nothing about. This is marketed as a thriller- if that’s the case, bonus points for having a unique premise. Clearly, Sarah’s Book Shelves is one of my top recommendation sources. What are some of your favorites?